Director of Research,Dr. Dixit wasinvited as visitingfaculty at theDepartment of Biotechnologyfor lectureson InfectiousDisease Surveillance. CMDN, Intrepid Nepaland Intrepid CancerDiagnostics jointlyorganize Nepal’sfirst Immuno-histo chemistryand molecularbased cancerdiagnosis seminar. 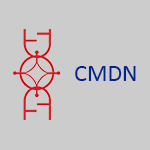 Invitation of CMDN toSouth Asian University,New Delhi,India. Collabration of CMDN with the INTERPOL and SAWEN to organize regional workshop onformulating DNA forensic capacity development and collaboration in South Asia. Collabration of CMDNwith the INTERPOLand SAWEN toorganize regionalworkshop onformulatingDNA forensiccapacity developmentand collaborationin SouthAsia. Training Program on Cancer Diagnosis By Pathologists from Kathmandu University Medical School at ICD. Training Program on CancerDiagnosis By Pathologistsfrom Kathmandu UniversityMedical Schoolat ICD.